Jump to video Are automakers back in gear? Workers at General Motors' Lordstown Assembly plant in Lordstown, Ohio put the final touches on 2011 Chevrolet Cobalts. 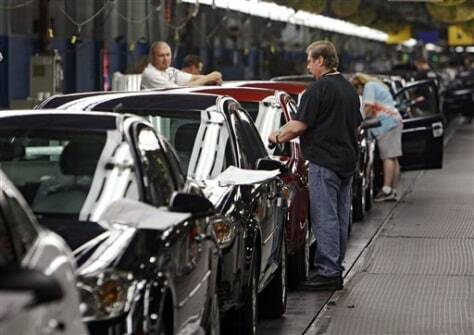 GM says its July sales rebounded slightly from June.